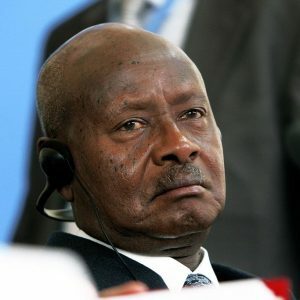 Ugandans may soon start paying taxes for using social media platforms such as Facebook, WhatsApp, Skype and Twitter as media reports say President Yoweri Museveni plans to slap new taxes on the social media platforms amid public criticism over his extended stay in power. According to Kenya’s Daily Nation and Uganda’s Daily Mirror newspapers yesterday, Museveni is alleged to have written a letter dated 12 March 2018 tasking Finance Minister Matia Kasaija to find ways of taxing excise duty on airtime. The proposed tax measures are reportedly aimed at helping the government broaden its tax base from social media users annually, although the president is cited as having claimed that the move also seeks to curb social media “gossip”. “Why don’t you tax voice conversation and other non-educative communications over the internet via social media e.g Facebook, Instagram, Twitter, Whatsapp etc? I am not going to propose a tax on Internet use for educational, research or reference purposes…these must remain free,” Museveni was quoted as having said in the letter. Meanwhile, Ugandan media suggests that the country’s opposition leaders, human rights defenders and social media users have since accused the president of “deepening the tax base” as opposed to widening it – a move they argue would balance the books at the expense of the poor. According to the reports, Museveni further proposed new taxes on telephone data transmission to boost his government’s tax base.